My idea is to have a site dedicated to looking at and discussing the place of horror in our lives. I have been a huge fan of the genre for as long as I can remember and would like to hear about the experiences of others. Be it horror in books, movies, or television- Why do you think people love to be scared? 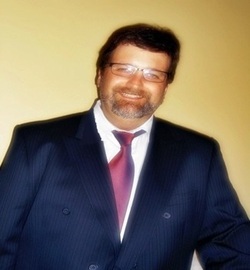 In addition to having taught English in Northern California and abroad, Jeffrey Littorno has always been attracted to the horror genre in both books and movies. “Even from a young age, I can remember gathering around the television every Friday night for Creature Features with Bob Wilkins. I think I still have an autographed picture of him around here somewhere.” Littorno’s enthusiasm for horror has resulted in his first novel, Bloom’s Desk. 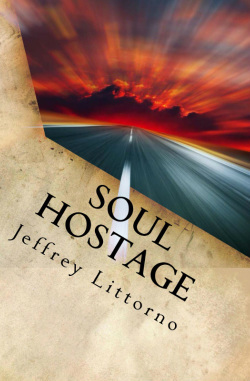 His second novel entitled Soul Hostage, was just released. He is now working on Stone Cold, his third entry into the world of horror. I was unsure for a moment whether he was being serious. Once it became obvious he was, a huge laugh erupted from my throat. Not the happy kind of laughter, this was colder and harder. In an instant, Stoaffer was no longer leaning against the wall. He was close to me with his face only inches from mine. I never saw him move, but somehow he did. Close enough for me to smell peppermint on his breath and also a not so pleasant odor, the stink of rotting things. His lips rolled back in a snarl. His face appeared sharper and even more threatening than moments before. At that moment, I was more scared than I had ever been. “There’s nothing for you to laugh at here, Thomas.” His words came out slowly and carefully enunciated like someone seething with rage and struggling to contain it. key to a big score. It is just the sort of job that Joey and Thomas have always wanted. It is the sort of job that could make their dreams come true. But as things begin to spin out of control, it becomes clear that nothing is as simple as it first appeared. And they may literally be on the road to hell.